Apple's enhanced display on its yet-to-be-unveiled iPad 3 appears to be the worst kept secret, judging by all the eyes that are reportedly able to see it. MacRumors owner Arnold Kim says anyone can buy the next iteration of the popular tablet at the Chinese website TrueSupplier. The skinny: The screen measures 9.7 inches in diagonal, the same size display as used in the iPad and iPad 2, but the resolution is four times as sharp. 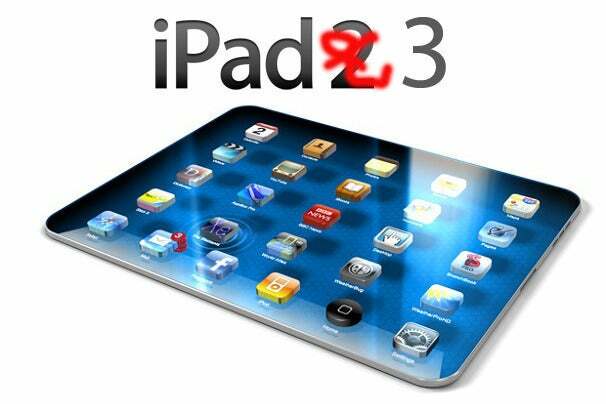 Apple is reportedly expected to take the ribbon off the iPad 3 on March 7. Experts say it could include support for 4G LTE, more internal memory, and perhaps Apple's first quad core processor. For now, a lot of the speculation is focused on the display. "When comparing the iPad 3 display to one from an iPad 2 under a microscope, the difference in resolutions becomes readily apparent, with the iPad 3 display's pixels appearing to be one-quarter the size of those on the iPad 2," reports MacRumors, which says it got its hands on one and used its measurements to extrapolate what the iPad 3 screen resolution should be: 2048 by 1536. That's four times the resolution of Apple's current and first-generation tablets. PCWorld’s Matt Peckham has made the interesting point, however, that the "retina" description that's been applied to the next iPad is simply a marketing term Apple uses to refer to displays with greater than 300 ppi (pixels per inch), which is the maximum number the average human retina can discern. The iPhone 4 and 4S, running at 960 by 640 pixels across 3.5 inches diagonal, meet this requirement, but the iPad 2, running at 1024 by 768 pixels across 9.7 inches diagonal, doesn't. When you compute a 2048 by 1536 pixel density across a 9.7-inch screen, it comes out to about 264 ppi, short of the generally accepted 300 ppi threshold. But, as the pundits point out, that's still a big improvement from the iPad 2's pixel density. As for where MacRumors got the display, Kim said it wasn't stolen, but rather is readily available, much to Apple's chagrin. He says the TrueSupplier site sells an "OEM Apple iPad 3 LCD Screen Display Replacement" for $122.99. On its website, Truesupplier says it serves more than 65 percent of the U.S. market and is a global provider of mobile data products, software and consulting services, headquartered in Shenzhen, China, with branches in Hong Kong. Apple iPads are made in China, and Apple is currently embroiled in a spat with a Chinese company that claims it holds the rights to the iPad name in China.